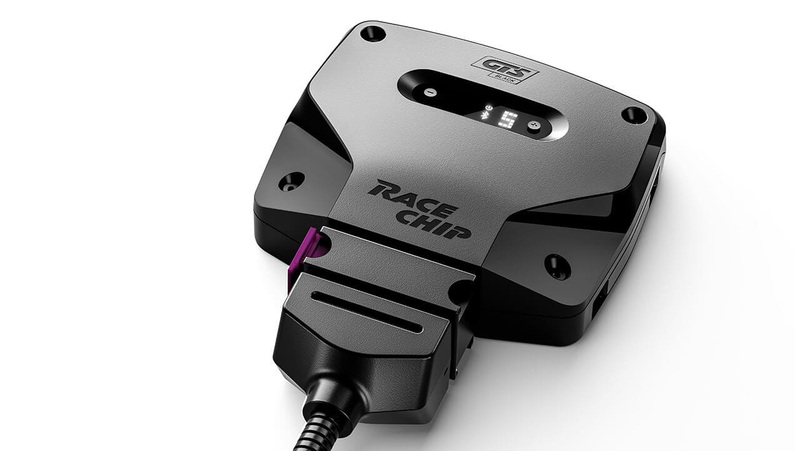 With the RaceChip XLR, you can easily tune your car's throttle response to your taste. The premium chip. The combination of the latest hardware coming from the automotive industry, a completely new optimization software with enhanced engine-specific adjustments, and a comprehensive service and safety package is a very convincing proposition. Engineered for a delightful driving experience. With a processor that's perfectly fine-tuned to modern engines, premium components and a comprehensive service and safety package, Ultimate offers the ideal combination for a one-of-a-kind driving experience. Whether curvy country roads, accelerating at a traffic light or zooming along the highway, you'll love the feeling. The Ultimate software, which is specially designed for your vehicle, optimizes your engine's electronic signals. In this way, your vehicle's available power reserves are utilized optimally. Feel for yourself more power, dynamics and drive. You won't recognize your car! RaceChip products are completely developed and manufactured in Germany and extensively Autobahn tested. We have 100% confidence in the quality of the RaceChip Ultimate. The RaceChip Pro 2 offers an overall package that you'll love. With premium components, our latest software specially designed for your vehicle and a comprehensive service package. You'll get all of this at an unbeatable value for money. RaceChip products are completely developed and manufactured in Germany and extensively Autobahn tested. We have 100% confidence in the quality of the RaceChip Pro 2. RaceChip products are completely developed and manufactured in Germany and extensively Autobahn tested. We have 100% confidence in the quality of the RaceChip One. The Brainbox monitors and controls all the processes involved in optimizing throttle response. The RaceChip app lets you set up your car as you want; just select the tuning stage from your smartphone. The app can also deactivate the RaceChip, returning the car to stock tune. App control for your RaceChip is available for just N/A USD. You can download and get to know the RaceChip app for free. With RaceChip, you can utilize this amazing extra function for just na USD.